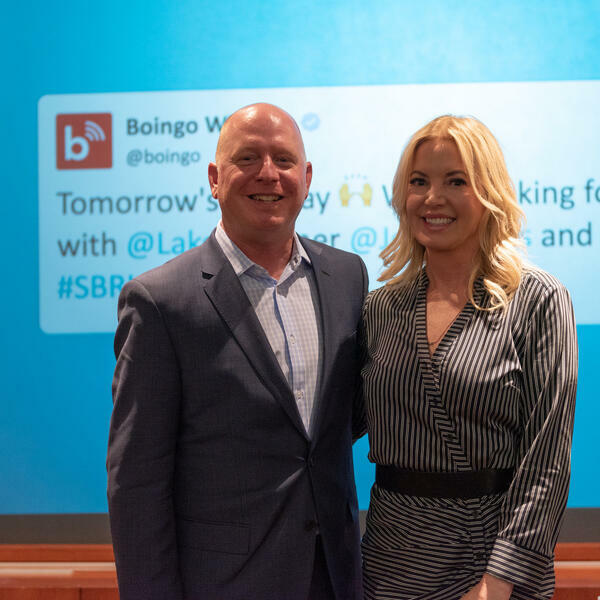 The Sports Business Radio Road Show presented by Boingo with Los Angeles Lakers owner Jeanie Buss (@JeanieBuss). The wide-ranging conversation took place on the campus of Loyola Marymount University in Los Angeles before a studio audience of students and invited guests. Buss discussed the Lakers season, having alignment with Magic Johnson on the future direction of the team and the business impact of LeBron James. Buss also discussed the impact that her late father Dr. Jerry Buss and her mentor Billie Jean King have had on her, the current dynamic with her siblings, mental health in the NBA and she offers valuable nuggets of advice for those wanting a career in the sports business. Listen to the Sports Business Radio podcast on iTunes and Spotify.